Among patients with stable ischemic heart disease (SIHD), multivessel disease (MVD) is not uncommon. Moreover, a greater number of vessel stenosis or occlusions sequentially portends a worse prognosis. The optimal treatment for SIHD is a topic of ongoing debate, and a number of important clinical characteristics must be considered prior to deciding on a management strategy. The treatment goals in patients with MVD are to: (1) improve survival and/or (2) relieve symptom burden. 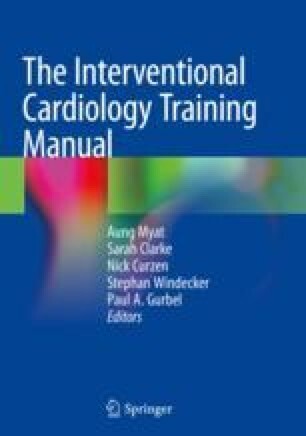 Approximately 50% of patients suffering an ST-elevation myocardial infarction (STEMI) have significant MVD, or non-culprit lesions. These patients have worse outcomes due to higher mortality and increased risk of recurrent MI when compared with patients with single-vessel disease. The recommendations for culprit-only PCI versus complete or staged revascularization in the setting of STEMI are dynamic, and have been an ongoing area of controversy, in large part secondary to the lack of adequately powered trials to assess important clinical endpoints. Based on the current literature and guidelines, in the case of STEMI with evidence of concomitant severe non-culprit lesions, there are multiple approaches available to the interventional cardiologist.